Livia Drusilla was the wife of the Roman emperor Augustus throughout his reign, as well as his adviser. 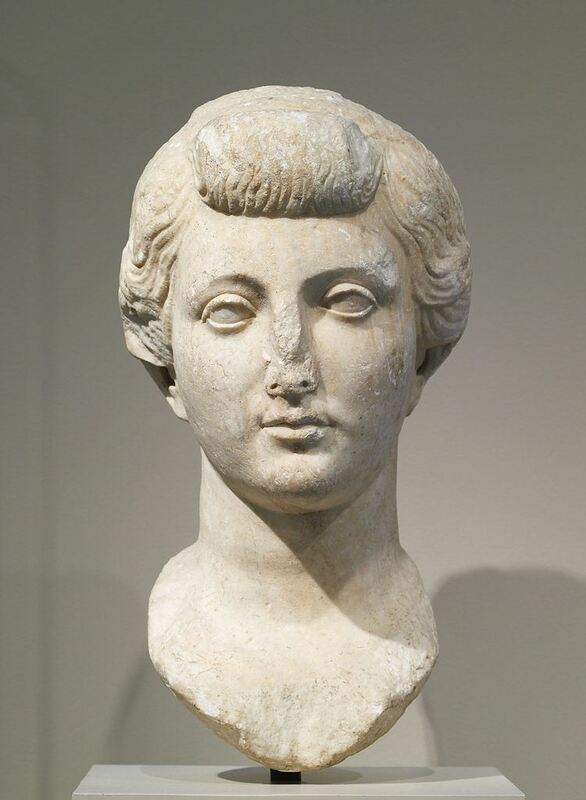 Livia was first married to Tiberius Claudius Nero, who fought against the Triumvirate in the civil war. She, her husband and her son - the future emperor Tiberius. Were forced to flee Rome and later Italy as the war progressed. After peace was established Livia returned to Rome, where she was personally introduced to Octavian in 39 BC. Legend said that Octavian fell immediately in love with her. He divorced his pregnant wife, forced Tiberius Claudius Nero to divorce Livia, and married her only three days after she gave birth to her second son, Drusus. Augustus and Livia would be married for 51 years. The title Augusta was invented for her in Augustus' will.